If you have ever wondered if the Prepper movement is just a US thing wonder no more! This week’s show offers a different prospective on Prepping because Dave will have as his special guest Tom Lindon from the UK. Tom is a long-time prepper, author, blogger, radio host and field craft aficionado. 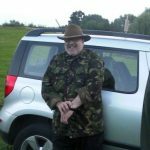 With his finger on the pulse of UK Preppers, Tom will talk to us about what the Prepper scene is like in the UK and we will find out how many Prepper are in the UK. 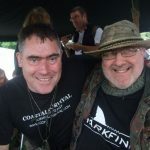 Tom runs a website at: http://www.ukpreppersradionetwork.co.uk/ and has specials on some great Prepper Gear. Listen to this broadcast or download “Prepping up in the UK” in player below! Dave will ask Tom about what is the one thing that has Preppers across the pond worried about most and what he sees as the things they are Prepping for right now. Tom and Dave will talk about North Korea and what the most likely outcome of an armed conflict with that country could be. Tom finished a book on nuclear war prepping and Dave will ask him all about that as well. Dave will cover all the latest news and we will see what is big news items right now in Great Brittan. Dave will announce all the winners from last week’s show and maybe have another great give away for some lucky caller. Don’t miss this show if you want to gain valuable insight on the world-wide view of Prepping and of course Tom and Dave will answer all your questions. Some of Dave’s up coming shows will include the art of scavenging, how to use the gray man strategy in your prepping and things to look for when choosing future members of your group. Dave will also have as future guests Rebeca Fish the Vice President of Marketing for Emergent Biosolutions, maker of RSDL, with a very special deal on this one of a kind decontamination sponge. Danny Santana, North America Sale Manager for Biolite products and Roger Lehet inventor/designer of a tiny home on wheels will also join Dave in the coming weeks. Don’t miss a week in the chat room for surprise giveaways and specials you can’t get anywhere else as you Prep Up With The Jones’! 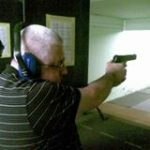 Is the old boy from UK shooting a pistol? If he’s in UK, how did he get a weapon? Not that I’ll rat him out, it’s just that those poor folks let their government disarm them years ago. But, there’s no reason to believe that the prepper thing is some kind of American exclusive idea. Anyone with some history and common sense sees how things happen in the world.